Former Vice President, Atiku Abubakar, and the Deputy National Publicity Secretary of the All Progressives Congress, Mr. Timi Frank have commended the Federal Government for withdrawing the forgery charges against the Senate President, Bukola Saraki, and his deputy, Ike Ekweremadu. In separate statements issued in Abuja, on Friday, the two party leaders described the move as a step in the right direction. Atiku specially commended President Muhammadu Buhari for withdrawing the charges because according to him, this has paved the way for the resolution of the impasse between the executive and legislative arms of government. The former Vice President described the withdrawal of the case as “a wise and timely move”. This was contained in a press statement signed by his media office in Abuja. Atiku described the Federal Government’s move as an indication that it values the much-needed cordial relationship between both arms of government and would take steps to ensure that it remains harmonious in the interest of the nation, and the advancement of our democracy. According to Atiku, it is only in the situation of harmonious, cordial and corporative relationship between the three arms of government that real progress and development can take place in the polity. He also argued that all hands need to be mobilised to tackle the current economic difficulties in the country to get the nation out of economic recession. 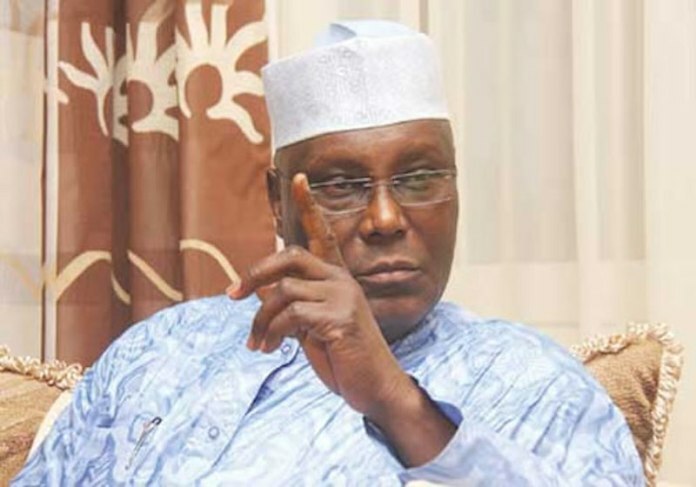 Atiku said that both the executive and legislature need to come together to find solutions to the current economic recession by eliminating all issues that promote strife and mistrust. The APC spokesman said the senate leadership, which seems to have been distracted as a result of the “political motivated case”, can now focus on its legislative duties. In a related development,the Kwara State Governor, Alhaji Abdulfatah Ahmed, on Friday, also commended the Federal Government for withdrawing the forgery charges against federal lawmakers. Ahmed, in a statement by his Chief Press Secretary, Alhaji Abdulwahab Oba, said the withdrawal of the charges was proper, necessary and timely.